short bio prospect from ashley collins on Vimeo. Anderson Contemporary. Santa Fe, New Mexico. BIOGRAPHY "The Intersection of Investment and Emotion." 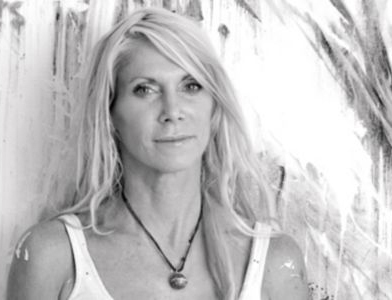 Ashley Collins [born 1967] has become one of the most successful living female contemporary artists in the world. Her blue chip collector base has been built against every "accepted" artistic rule, and the pre-conceived narrow barriers of what define "Contemporary Art". Her works, layer by layer, stroke by stroke, year after year, pushing through pain and perseverance, continue to break through the upper echelons touching each individual collector, showing what can be achieved with two and three dimensional art, and its impact on the world, and each of us. Through her paintings and as a result of her tireless struggle, Collins has also raised hundreds of thousands of dollars for those least able to help themselves: children and women worldwide. From kids with cancer in Idaho to orphans in Cambodia. From education for girls in Morocco, to life saving operations for women in Ethiopia. From smiles of children formerly with cleft palettes, to the knowledge of someone in a Kenyan slum that someone somewhere cares. Someone, somewhere is willing to lend a hand. But Collins art is a reflection of her long and arduous journey. And without an understanding of that journey, the viewer has only a partial view of the depth of the work, the difference of a photo of a vista, versus the impact and sensory feel of the vista itself. For Collins' re-visiting her journey is a catch 22 - she prefers looking forward to looking back, each new painting giving multi generational love and passion to its collector, and each purchase providing more funds to heal, more means to help. Yet it is that journey that helps us understand her life's canvas, and in turn each of her paintings. When Collins moved to Los Angeles in 1988 to began professionally painting, she arrived with no contacts, no money, just a dream. There were few successful female artists in the world at that time. Whatever the cause, this was the table at which she chose to sit. Repeatedly rejected by family, by the art community, and by each approached gallery for many, many years, Collins never the less continued: sleeping on concrete studio floors, in her car, in abandoned boats in the adjacent marina. Homeless, Collins could no more stop painting than you or I could stop breathing, living, thinking. During those years, Collins lived a third world existence in a first world country; all for her art. It did not matter if her stomach was empty, as long as she could buy paint. It did not matter if she had an apartment, as long as she could pay for a small studio wall. After facing years of rejection, repeatedly told horse imagery could not be contemporary art, then being courted by a galleries only to be rejected after finding out the artist was female, Collins gathered together and borrowed every dime she could and opened a small gallery off an alley in Venice, promoting "Ashley Collins" as a reclusive male artist. The guise worked, and soon Collins sold her first work, for the sum of $2500. To Collins this sum was a fortune, and her career, as a painter had truly begun. The journey since has been a continuous battle, every step of her success painfully earned. Perhaps most telling is that Collins, with little money, upon the sale of that first painting, donated $1,250 of the sale to charity.